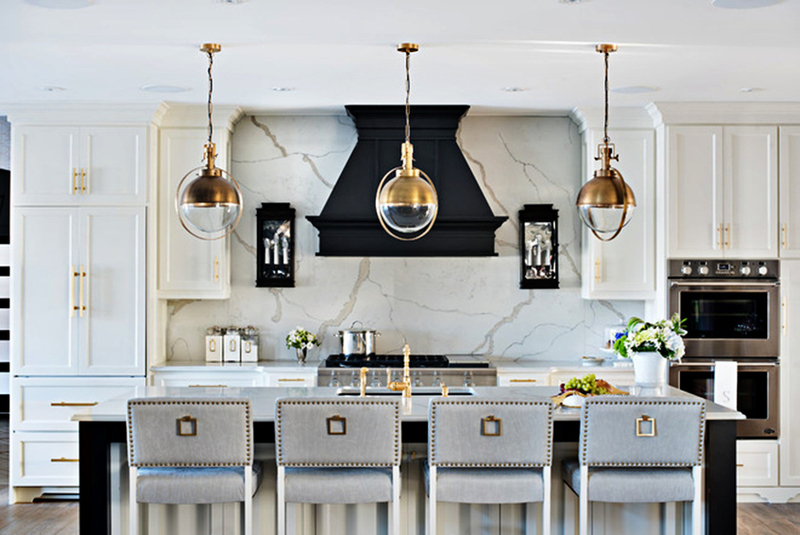 Whether you’re looking to add some character, break the traditional work triangle rules or create a display shelf for your favorite dishware, these trending new kitchens offer plenty of ideas. 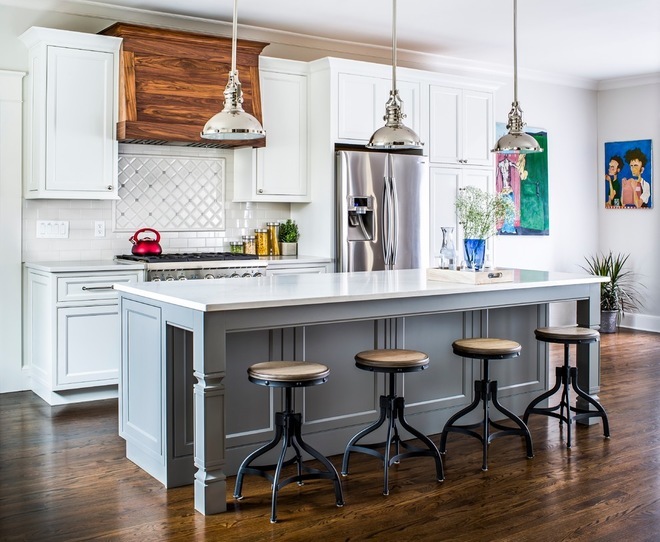 Here are the 10 most popular kitchen photos added to Houzz from January through March this year, as measured by the number of people who’ve saved them to their ideabooks during that period. Do you have a favorite? 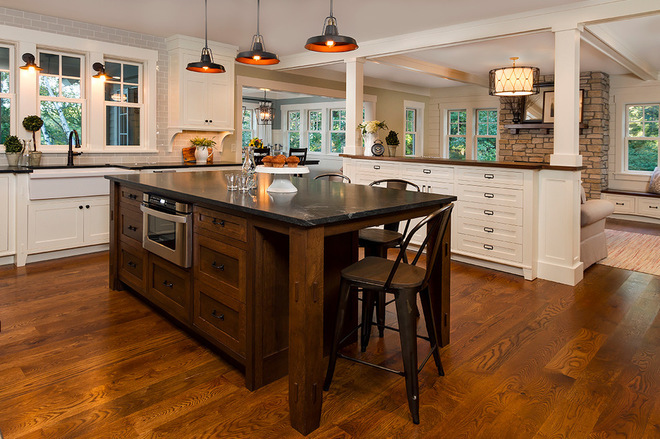 The true centerpiece of this Minnesota kitchen is the quartersawn, oak-stained island, which holds the microwave and large drawers. “The main goal was to get a craftsman’s vibe in the area to make it feel more like an authentic older home,” designer Shelly Lindstrom says. 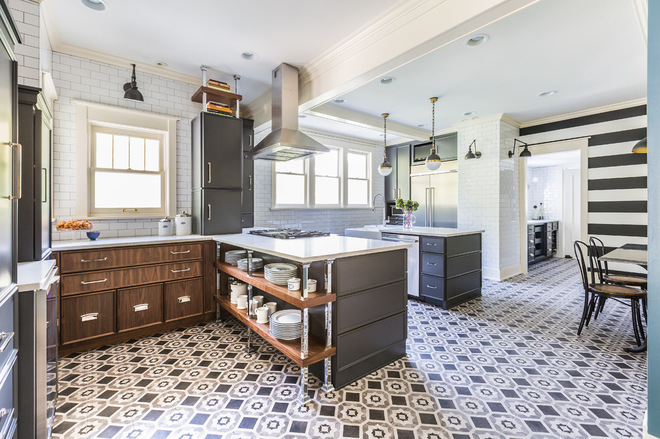 Designer Amy Storm says that the homeowners of this suburban Chicago kitchen wanted radiant floor heating, so she ripped out the existing flooring and installed this patterned tile. The tile looks like encaustic cement tile but is porcelain. “It’s incredibly durable,” Storm says. 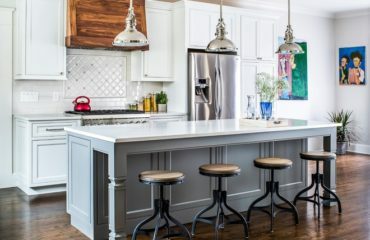 The homeowners of this remodeled kitchen in Oregon had seen a photo on Houzz of a refrigerator in a corner and loved it, and that kicked off the new plan for the room. “This is a good example that shows that the traditional work triangle doesn’t work for everyone,” designer Brittanie Dodge says. 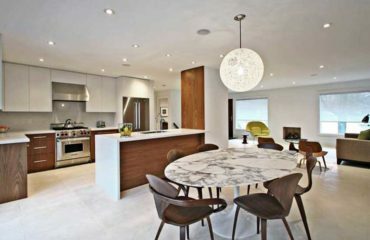 Designer Gabriela Gargano was tasked with creating a kitchen that felt larger than its actual square footage. 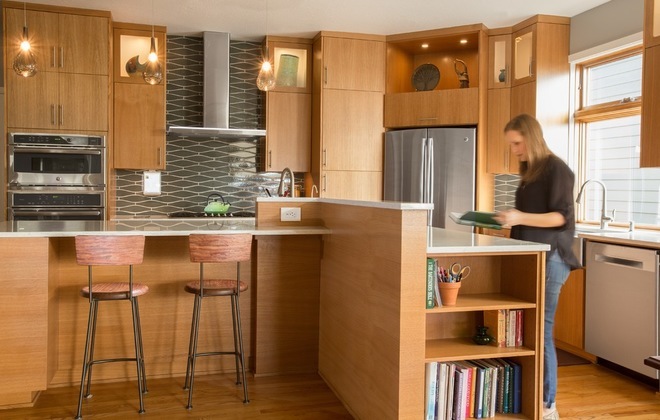 Adding custom cabinets with smart, efficient storage allowed the homeowner to skip upper cabinets and go with open shelves for a lighter feel. Moving the refrigerator to the other side of the room helped open the workspace. 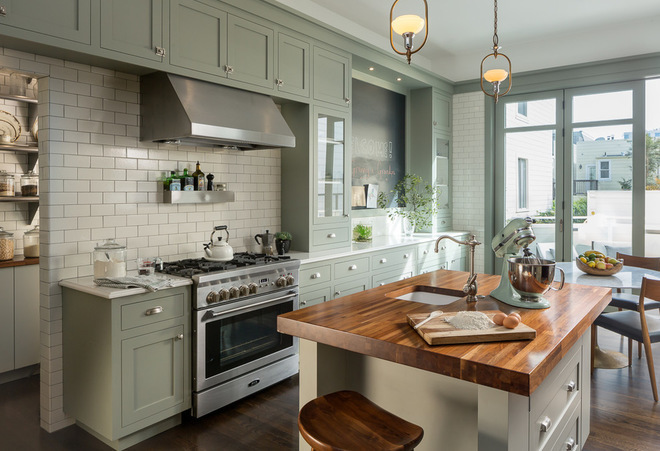 With its sage green cabinets, classic subway tile backsplash, chalkboard paint and wall of glass doors leading to the yard, this handsome San Francisco kitchen hits all the right notes. 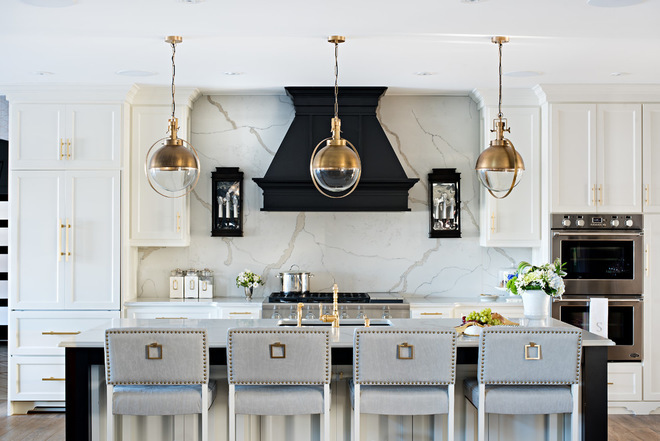 This Atlanta kitchen designed by Kellie Boyce features classic looks, clean lines and modern fixtures, but the custom wood range hood makes it feel like home. 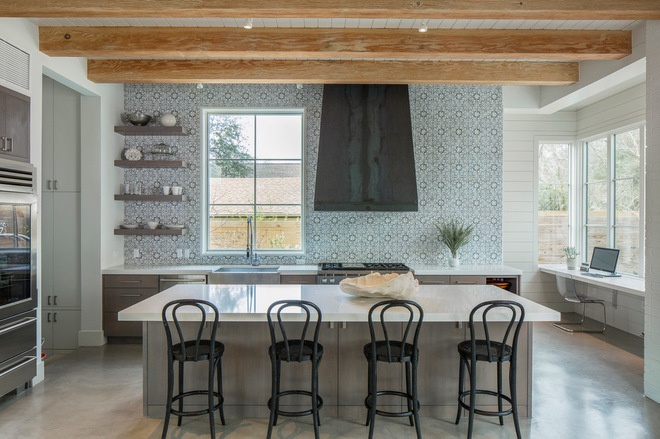 This Austin, Texas, kitchen features a wall of hand-painted terra-cotta tile from Walker Zanger. “Because there were no upper cabinets in the kitchen, we knew the back wall had to really pop without being overwhelming,” designer Page Gandy says. 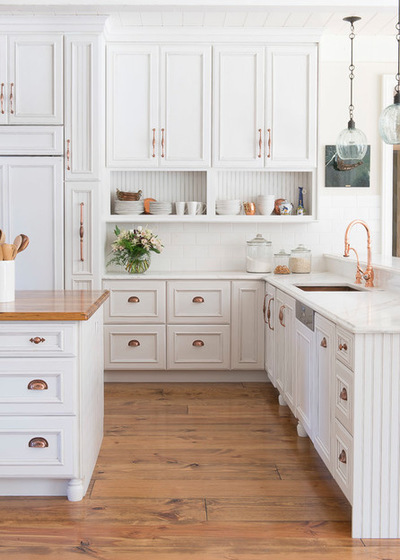 This white farmhouse kitchen in St. Louis scores extra points by leaving a section of cabinetry open to display dishware. This is a great spot to curate based on the seasons or cycle through to show off your various collections. For designer Sarah St. Amand’s own kitchen, she selected a stunning quartz for the countertops and backsplash. 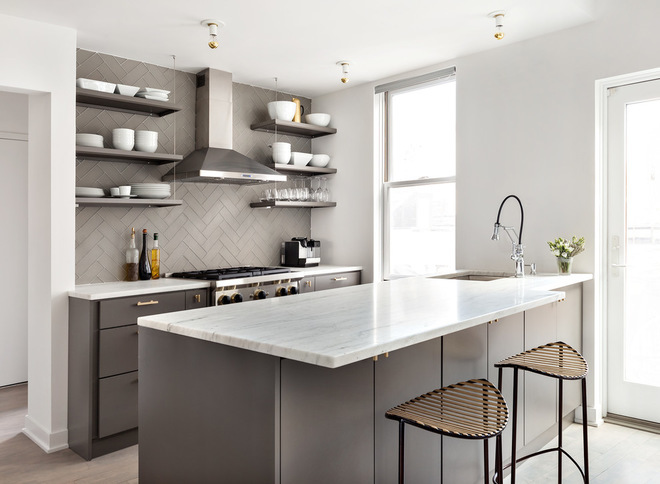 “I knew I wanted to mimic marble, but marble isn’t the best choice for busy people and families in their kitchens because it’s porous and stains easily.” The quartz she selected gives her the best of both worlds. 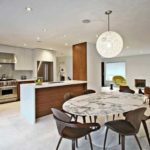 Orsi Panos of Orsi Panos Interiors and Louie Katsis of Olympic Kitchens teamed up to create this stylish Toronto kitchen. A bit of blue gray paint on the peninsula did the trick. “It’s just enough color so the kitchen doesn’t feel all white,” Panos says. 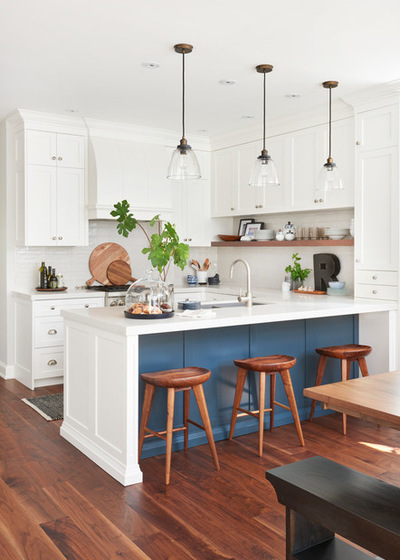 Accessories such as large wood cutting boards, plants and blue-and-white dishes bring more balance. Tell us: Which details do you think made these new kitchens stand out?